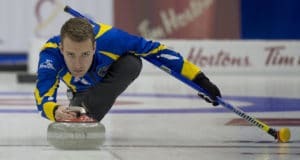 It wasn’t the result the three Canadian curling teams hoped for when arriving at Omaha, Neb., for the Curling World Cup. The Canadian men’s, women’s and mixed doubles teams did not qualify for any of the Sunday finals at Ralston Arena. Despite the result, Canadian teams gained some new experience playing at the new event. 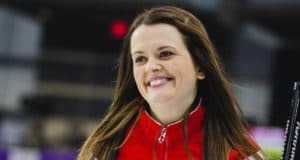 Tracy Fleury’s Canadian women’s team picked up two critical wins on Friday to stay in the playoff picture at the Curling World Cup in Omaha, Neb. The two victories at Ralston Arena lifted the Canadian women’s team to a 3-1 record with one more day of action in the double round-robin. A loss is never a welcome sight for any team’s record. 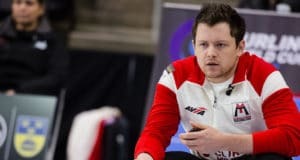 But just like a magician, Winnipeg’s Jason Gunnlaugson essentially made his first loss disappear with a victory against China during Thursday’s Curling World Cup action at Ralston Arena in Omaha, Neb. 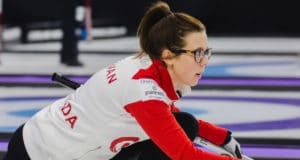 The Canadian teams opened with a win and a loss in its first two games at the Curling World Cup on Wednesday at the Ralston Arena in Omaha, Neb. Tracy Fleury (Winnipeg) led her women’s team to victory and the mixed doubles team of Kalynn Park (Calgary)/John Morris (Canmore, Alta.) were just shy of a win with a shootout loss at Ralston Arena in Omaha, Neb. 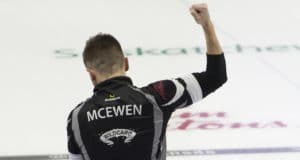 REGINA – Mike McEwen exhaled and pumped his fist in victory as the shot from opposing skip Jason Gunnlaugson came to rest an inch or so wide, allowing McEwen’s Winnipeg squad to become Team Wild Card at the 2018 Tim Hortons Brier, presented by Mosaic. This week, John sits down with the most recent Tim Hortons Roar of the Rings qualifier, Brendan Bottcher. 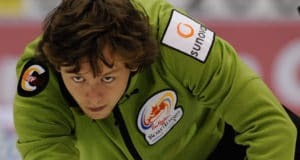 In addition to heading to the Roar, Brendan is a world junior champion, a world university bronze medallist, and in 2017 represented Alberta at the Tim Hortons Brier. SUMMERSIDE, P.E.I. 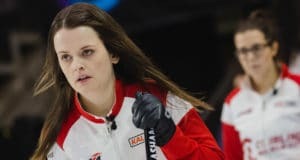 — The gold-medal dreams for teams skipped by Winnipeg’s Jason Gunnlaugson, Dayna Deruelle of Brampton, Ont., and Sherry Middaugh of Coldwater, Ont., live on in Summerside. It’s early in the season, but there seems to be something a little strange happening on the Canadian Team Ranking System leaderboard. Winnipeg’s Jason Gunnlaugson, who’s only played sporadically in high-level events in recent seasons, currently holds the top spot after qualifying in all three events on his team’s schedule thus far, and winning one of them.